Concept art for Stardock’s Star Control prequel. The space fighter series Star Control is at the center of a new dispute over who owns the franchise, and what that means for the future of the series. In a recent series of posts, Star Control creators Fred Ford and Paul Reiche III have called on the publisher Stardock, which purchased some of the rights to the series from Atari back in 2013, to stop selling the games. While Stardock, the developer behind Sins of the Solar Empire and Ashes of the Singularity, has been selling Star Control 1 and 2 on Steam for some time, the games’ original designers now contend that this has been going on without their permission. Right now, both the original creators and Stardock are each working on their own new Star Control games. With private discussions apparently having fallen through, the argument is now playing out publicly. “Stardock has zero rights to our games, including any code and other IP we created,” Ford and Reiche argued in a December 1st blog post. 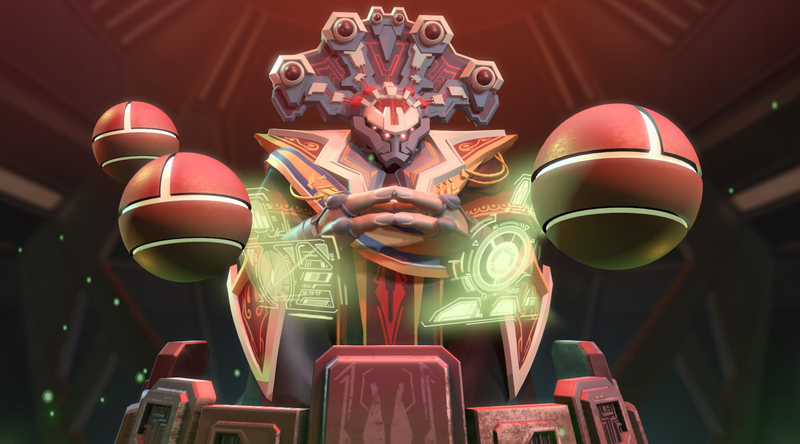 They further alleged that Stardock told them they would need that studio’s permission in order to distribute their new Star Control-based spin-off, Ghosts of the Precursors, announced last month. “When we acquired Star Control from Atari in 2013, many assets were transferred to us including the various publishing agreements to the Star Control franchise,” wrote Stardock’s CEO, Brad Wardell in a forum post addressing their claims. Stardock has its own Star Control game in development, however, titled Star Control: Origins. Calling classic IP “messy,” Wardell suggested creating a new agreement that would make it possible for both parties to pursue their own projects independently. “We want them to make Ghosts but we don’t want any liability or association with it,” he said, adding that in all the time the company had been selling the older Star Control games previously, Ford and Reiche had been getting paid for them and never had a problem with it. In October of this year, history repeated itself when Stardock began selling our games on Steam and elsewhere (even bundled with theirs), again without getting our permission. This time we couldn’t come to an agreement, so we asked that Stardock stop bundling and selling the games. They refused, so we’ve decided to end our 2011 distribution agreement with GOG as a first step to having the games pulled down. Ford and Reiche noted the existence of the fan-made Ur-Quan Masters HD Project and said they hope the other classic Star Control games can follow a similar trajectory to being fan supported and free to download. When asked how long Stardock had been selling the classic Star Control games, the company responded to Kotaku in an email saying Ford and Reiche terminated their agreement with GOG at Stardock’s request. “We became aware of the distribution agreement issue with the classic games only a few weeks ago and instructed Paul and Fred to remove them which they have since complied in order to allow Stardock to officially take over that distribution arrangement which we have subsequently done,” the company said. Gameplay from Star Control: Origins which is in Early Access. Wardell disputed Ford and Reiche’s new claims regarding sales rights and the GOG agreement in his updated forum post as well. “Stardock, by contrast, possesses a perpetual, exclusive, worldwide licensing and sales agreement that was explicitly transferred to us by Atari who in turn acquired it from Accolade that has Paul Reiche’s signature along with a signed distribution agreement between Atari and GOG for the DOS Accolade Star Control games,” he wrote. What remains to be seen is whether Stardock’s existing legal agreements which it received from Atari are still binding, as it maintains. “We have repeatedly asked for any documentation supporting [Ford and Reiche’s] claims,” Stardock told Kotaku in their email. We’ve reached out to Atari and Reiche for further comment.